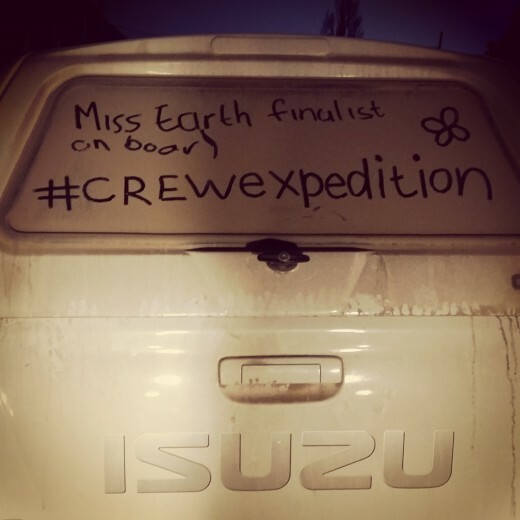 Working for CREW, we sometimes get sent on really cool missions like this one, which I like to call the Karoo Expedition. 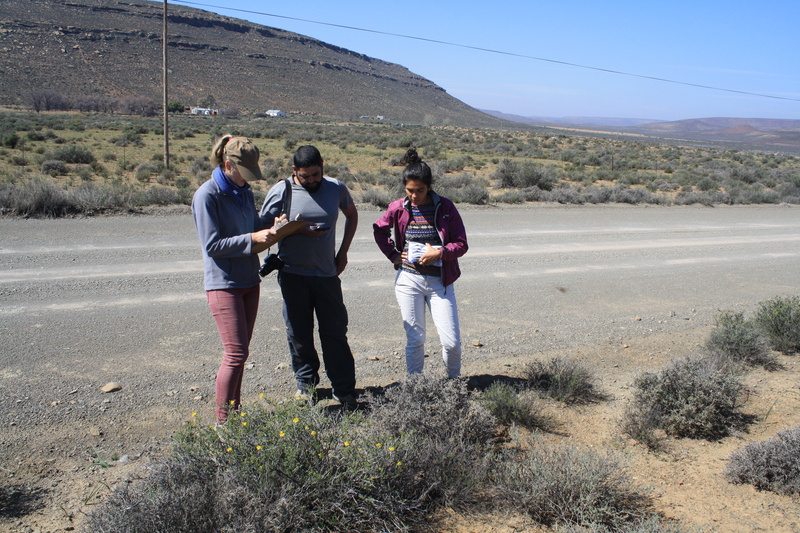 We spent 12 days in the Northern Cape, Karoo area, collecting data and assessing vegetation condition to summarize the vast area which has been neglected in terms of biodiversity monitoring. 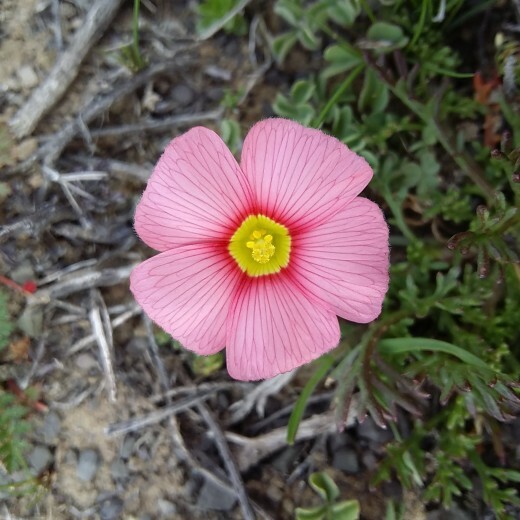 Arriving in Sutherland on the 24th August, we set up base in the small town and worked from there. 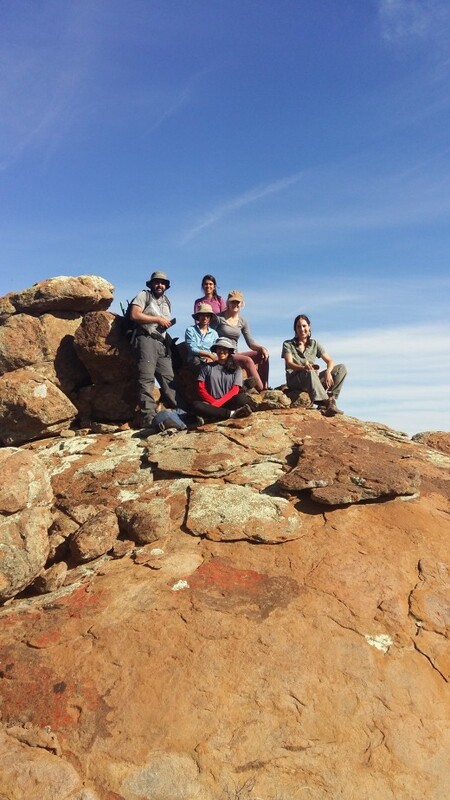 It was quite a mammoth task for our small team sampling the vast area of the Karoo which makes up a large part of our country, but we accomplished a lot and also learnt a lot. So what is Fracking you might ask? Well this process known as Shale gas mining is a practice that applies the technique of high-volume, horizontal, slick-water fracturing also known as ‘fracking’. It involves pumping water, sand and chemicals into horizontally drilled wells, under hydraulic pressure to fracture the underground shale layers and release gas. About 20 million litres of water is needed for one frack well including thousands of litres of chemicals. Just one hydraulic fracture uses the same amount of water as the town of Graaf-Reinet would use in about three days. According to Shell, there can be as many as 32 wells on one well pad. This would mean that about 640 million litres will be used to frack 32 wells. For the Karoo this is extremely alarming as this is a semi-arid region meaning it is very dry and considering the water restrictions in the country, I am not sure where they plan on getting all this water from? From the studies in the US, fracking showed to have caused surface and ground water sources to become contaminated and unfit for human consumption. During the fracking process, gas is often vented and or flared further contributing to greenhouse gas emissions. A recent UN study showed that ground-level ozone kills farm crops as well as affecting health. As a Miss Earth South Africa Finalist, , and an active conservationist, I stand up against Fracking and will fight to protect this precious landscape. 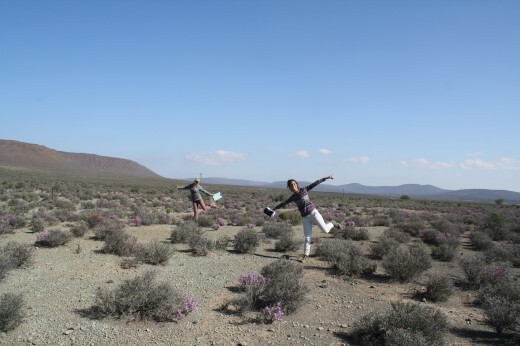 After spending 12 days here, one realizes the sheer beauty of the Karoo and how majestic the vast area is with no human activity for hundreds of kilometres some times. Although there are short term gains which we will reap from fracking, the long term affects will be detrimental to this landscape. Farms will be ruined if groundwater becomes contaminated and only once you have driven through this amazing area, will you realize what a hard life these farmers endure day in and day out just to earn a living. These farmers love the land and put their heart and souls into farming. It is the livelihoods of these farmers and communities that will suffer from the after effects of fracking. They are the ones that will bear the scars of fracking, not Shell or the government or all the big shots heading up this project, it will be the people who will be left with this mess.